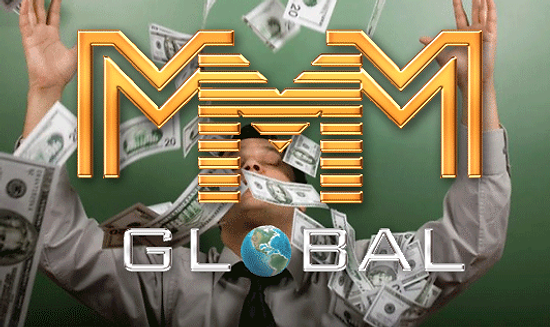 MMM is a global mutual aid fund, financial social network. MMM isn’t a company, organization or a business project. MMM has its own website which connects participants who want to provide help directly with those who need help. The participants transfer money directly to each other, acting of their own free will. There aren’t any obligations and guarantees. If you have any other questions, please contact our guiders. They are always ready to help you. 2. WHAT WAS MMM CREATED FOR? 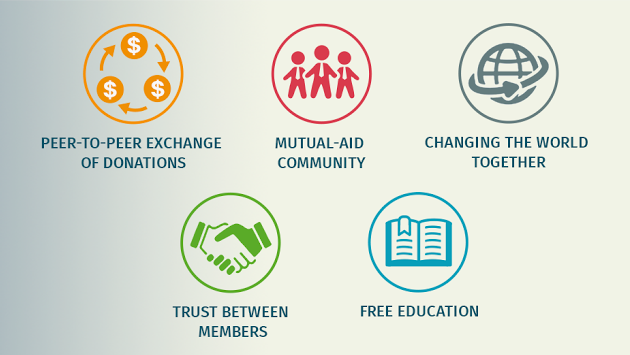 The aim of MMM is to encourage and teach people to provide financial help to each other and change in this way the character of financial relations among people throughout the modern world. Unlike charity organizations that offer help to people who got into trouble, MMM promotes mutual help — everybody is helped and everybody helps. It paves the way to a more humane and fair society. 3. WHO IS MMM GUIDED BY? The idea of creating a global community of mutual aid belongs to Sergey Mavrodi, who founded and leads MMM. That is Sergey Mavrodi who allows the Community to remain united and carry on its development. At the same time ??? appreciates each member of the Community, their ideas and offers. Each active participant who shares the values of MMM can become a manager and create own structure. 4. WHO CAN JOIN MMM? Any person of legal age is able to join the MMM Community. There is absolutely equal attitude to members of different age and social groups, work status and political backgrounds, countries and religions. The Community doesn’t contrast people against each other and doesn’t act on the principle of “divide and conquer”. Everyone contributes to the common good. The participants are asked only to follow the recommendations and avoid enriching themselves at the expense of others. 5. DOES MMM ACT ON LEGAL GROUNDS? MMM has no financial accounts and thus has no need in legal registration. 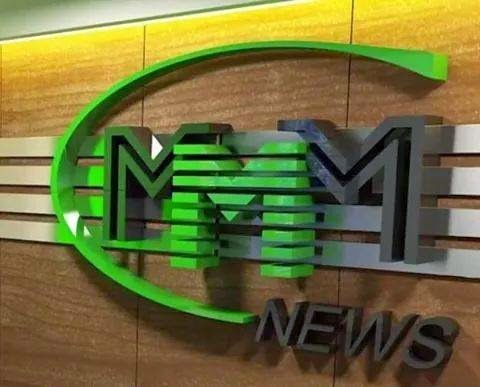 MMM is the community, the social network, where people, who are willing to help each other voluntarily, can register and leave their contact information. Thus, the members of the MMM Community have no financial relationship with the Community itself, but only with each other. That is why MMM is not a subject of legal relations, and so the MMM Community cannot be illegal. With regard to the legality of its participants’ activity, it can be qualified as an act of gracious donation. Giving money by one participant to another one is not prohibited by either international or local legal systems. The right for gift giving — is one of the main forms of realization of the right for private property. MMM Community advocates for citizens’ strict observance of their countries’ legislation. 6. WHAT IS A ‘PERSONAL OFFICE’ (PO)? Personal Office is the personalized section of the site, available for registered members. The Personal Office displays information related to membership in the Community, it’s possible to get, provide and confirm help, to enter and edit your personal contact details, to register newcomers and manage their PO, to select a referrer and a manager, to have support from consultants, to enter into a direct relationship with the recipient or assistance provider, adjust the time of providing/getting help, etc. You provide assistance to other participants only through Personal Office (PO) and only after you have created a request for providing help for a certain amount. Access password in PO is sent to a participant after the registration. Logging in your PO and key transactions on funds withdrawal or change in account should be made only after SMS confirmation by the phone. The most frequently visited sections of the PO are Dashboard where you can find the information part of all operations, and “Mavro”, where you can get acquainted with the current status and expectable growth of the funds on your account. Particular attention should be paid to the accuracy of filling in the “Accounts” section. So that incompleteness or inaccuracy in bank details won’t cause any problems. In case of blocking of your PO due to violations of the rules, the only available operation remains is to contact support in order to learn the cause of the blockage and the conditions of its withdrawal. 7. WHO ARE REFERRERS AND REFERRALS? A referrer is a participant of the Community who invited another participant. A referral is someone who was invited. If you registered a new participant or he registered himself by your invitation code, then you’re a referrer, and he is your referral. In PO in the section “Participants”, you can see the list of your referrals (there may be many of them). Any newcomer who came through your referral link will be directed to the registration page of MMM’s website, where he will be automatically considered your referral (your referral link can be found in PO in “My page” section and in “Participants — referrals” subsections. To place your referral link on other Internet resources you must copy it in the body of the message. 8. WHAT DOES 'INVITE' MEAN? This is a verbal invitation code from a participant of MMM, owing to which he can invite other people into the Community and get a referral bonus. charity activity on the behalf of the MMM Community. 9. WHAT IS A REFERRAL LINK? The referral link is the invite’s analogue, but it is more convenient to attract new members through the Internet. A person coming to the system through your referral link will be automatically redirected to MMM register page. After registering he automatically becomes your referral. Afterwards, you can receive referral bonuses from all contributions he/she makes. The referral link can be found in PO in the “My page” section, in the “Referrer” tab or in “Participants-Referrals” subsection. All you need to do — is to click “Show my referral link”, which will open a new window, and copy all the text in the field. 10. WHO ARE TRUSTEES AND TRUSTORS? If a participant does not want to make operations in the Personal Office (create requests, process orders), she/he can choose a Trustee who will do it for her/him. The participant who has transferred the rights to manage his PO will be called the Trustor. a) The Guider registers a participant and, during registration process, states that he/she is his/her Trustee. b) The participant indicates in PO himself/herself that he/she makes the Guider his/her Trustee. Of course, at any moment the participant can change his mind and refuse the Trustee’s service. For the protection from the Trustee’s abuse the most important operations (change of account details for taking money out, creation of a request for withdrawal, confirmation of getting money) are conducted only through a confirmation code! The confirmation code will be sent by sms to the Trustor. Besides, when creating requests and orders for cash-in the trustor will also get the corresponding sms. Other than that, in the case of an order to send money, the recipient’s account information will be indicated in the sms. The Trustee can go into PO of the Trustor right from his/her PO and then the same way can come back easily into his/her personal PO. 11. WHAT IS MAVRO AND HOW DO THEY GROW? Mavro is a conventional unit for measurement of provided help to other participants in MMM. Mavro can be credited in form of bonuses for activities such as promoting the community, referring new participants, assisting other participants in their needs. Actually Mavro is a unit of measurement of participant’s contribution to the community. The more one contributes — the more Mavro he gets. The amount of MAVRO in the participant’s PO shows the maximum amount of help he can ask for. For example, if the participant has 100 MAVRO, he can ask for 100-dollar help. The number of growing MAVRO and progressive calculation of the amount of help can be seen directly in your PO in the section “Mavro”. Attention! 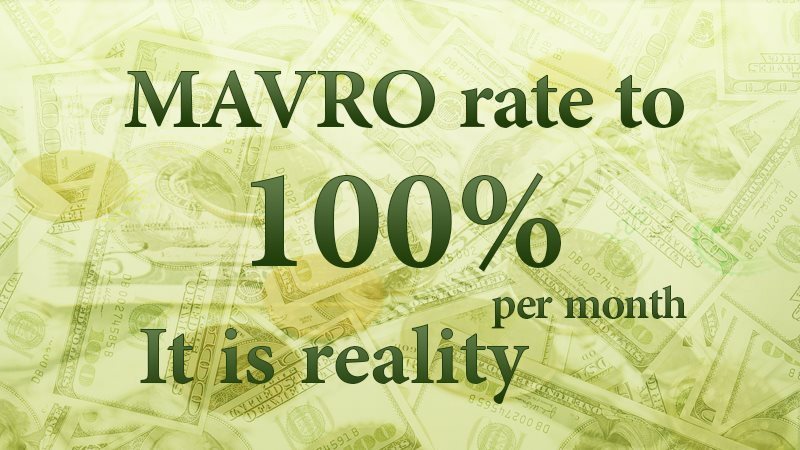 MAVRO isn’t a currency, debt obligation or other form of financial assets. With MAVRO, you can’t buy any goods or services. At any time the number of MAVRO, growth rate and the types of mutual-aid programs can be changed for the stability of the Community in order that participants will continue to get help. 12. WHERE CAN I FIND INFORMATION ABOUT THE AMOUNT OF ASSISTANCE THAT I CAN RECEIVE? 13. HOW MANY TIMES AM I ALLOWED TO PROVIDE AND GET ASSISTANCE? The number is unlimited. You can provide help even if you have already created “Get Help” request. However, you cannot activate more than one “Get Help” request at the same time. During this time, you also will not be able to make any changes in the section “My page” and “Accounts”, so you should check in advance the correctness of your data before sending the request for getting help. 14. I HAVE CHANGED MY PASSWORD AND NOW I HAVE DIFFUCULTIES WITH MAKING A “GET HELP” REQUEST. WHY? If you decide to change the password to your Personal Office, a five-day moratorium on getting assistance (withdrawals) will be imposed on you. That is, within 5 days after the password has been changed, you won’t have the right to create a request for getting assistance. After the specified time is over, all your rights will be restored and you will be able to get help. This is done for security purposes to prevent hacking and stealing your account by frauds and hackers. 15. WHO ARE 10TH, 100TH, 1K GUIDERS? These are the ranks (conditional hierarchical status) of guiders in the Community which are determined in proportion to the number of participants in created by guiders or their “descendants” team. Guiders are experienced and well-informed participants of the Community who consult and help the participants who they lead. Guiders don’t have the right to demand the money to be transferred to any account. They just help the members of their unit feel confident in the Community and are responsible for the members whose direct guiders they are. Guider ’s bonuses from the contributions made by the participants of their structures have a multilevel character (See the section on bonus programs WHAT IS MMM). 16. IS ONE PARTICIPANT ALLOWED TO HAVE SEVERAL ACCOUNTS? MMM is the Community where people trust and help each other. That’s why it uses a principle — “only one account for one person”. Accordingly, each participant should have own unique bank account or Bitcoin address. If you use the same Bitcoin address with other people it means you give them access to your money at any moment! If you are a beginner and still haven’t understood all functions of your Personal Office (PO) you can make your manager your control confidant to help you with your account. Never share your PO email & password. It’s for your security to follow the descriptions below. In case when Your account is blocked for the suspicious activity you should write to SUPPORT attaching the photo or scan of ID in order to confirm your identity. Besides, the CRO can request the video record explaining all the situation. In case the participant didn’t violate the rules there’s nothing to worry about. He will be unblocked and the block won’t affect his MAVROs growth in any way. The absence of multi-accounts (when one person registers in the system several times) — is the key to dynamic and sustainable development of the Community in the future. The one who creates multiple accounts, and in this way tries to obtain additional, not provided in the rules bonuses — deceives their colleagues and friends, and in the end — themselves. Such frauds will be blocked once and for all and immediately expelled from our community! We need only honest people in the community who change the world for the better! 17. AM I ALLOWED TO ADD SEVERAL BANK ACCOUNTS AND BITCOIN ADDRESSES? In MMM System you are allowed to add several bank accounts to your personal office. However, note that these bank accounts have to be registered in the name of only one person — you. That is, the accounts must have the same name and surname. In that case, if you add to your office accounts that are registered in the names of different people, you are automatically recognized by the system as a fraud and will be blocked. 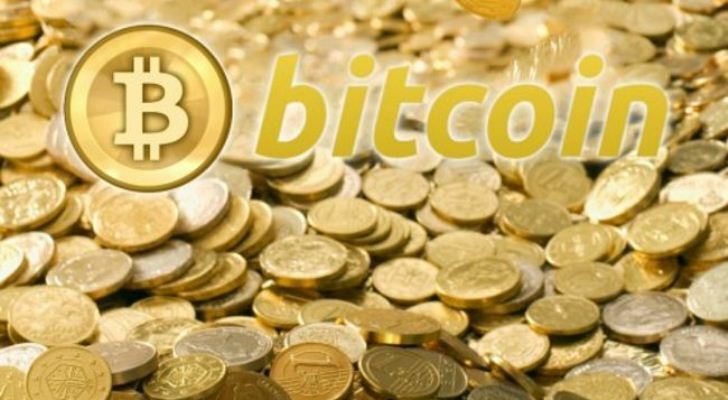 It also refers to bitcoin adress — the participant can have a few of them as well. You have the right to request assistance to be sent to any specified Bank or bitcoin address of yours. Yet it is prohibited to share your bank account and Bitcoin address with other people! 18. HOW CAN I TAKE PART IN THE DEVELOPMENT OF THE MMM COMMUNITY? Spreading MMM ideas and inviting new members to the Community is your additional contribution to the development of the Community. Nobody forces participants to invite beginners, however understanding that the Community exists due to the development pushes many participants to take active position. Finish Manager’s School, become a manager and hold seminars or home presentations, conduct charity actions or flash mobs, lead webinars and thematic blogs. Create your own large structure getting Referral and Manager’s bonuses for that. At the same time, you’ll make your own contribution to the development of the Community MMM Global.